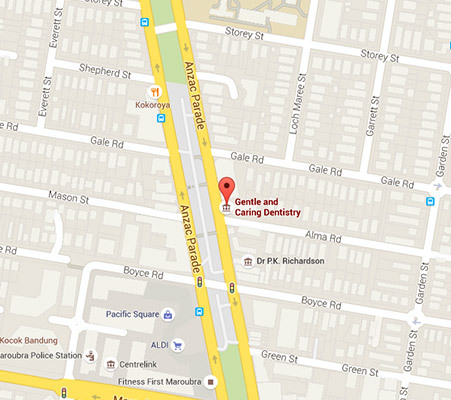 Gentle and caring dentistry is one of the most affordable dentists in Maroubra – Randwick area. We have been working hard to provide our patients in Maroubra area with the highest quality general and cosmetic dental care at affordable costs. We aim to stay and remain the favorite and affordable dentist in Maroubra. Treatments at our dental clinic in Maroubra are of highest standard. We provide personalized treatments to our patients in Maroubra area. Staff are Gentle and Caring dentistry is dedic ated and genuinely concerned about the patients. We understand that the dental treatment requirements of each patient is different, we analyze your condition / requirement and we take necessary action to guide you to the best possible treatments which are not only effective but affordable also. 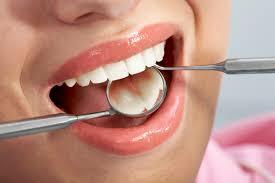 Our aim is to provide our patients with highly quality dental care and bring smile on their faces. Our team, with its friendly and caring approach will always have time to discuss any concerns or questions you may have regarding your dental treatment at our Maroubra clinic. Our lead dentist, Dr. Roxanne Irani, has extensive experience in treating a range of dental aspects and concerns, including general dentistry, children’s dentistry, emergency dentistry, cosmetic procedures, preventive and restorative treatments and treatments under sedation. As an affordable dentist in Maroubra, we come up with special offers for our patients at regular time intervals. Dont forget to visit and bookmark our Facebook Page to stay updated with offers and exciting information regarding our dental practice. Call us on (02) 9349 6668 to book an appointment. We are open on Saturday’s for your convenience.